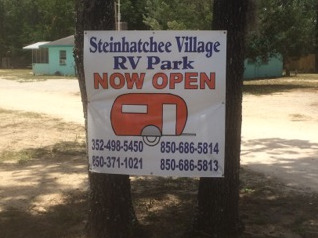 We are the oldest full hook-up campground located directly in the center of Steinhatchee. We are close to all events, marina (Riverhaven, Sea Hag and Good Times) as well as 2 excellent public boat ramps. We are open year round, 24/7. Come for Fiddler Crab Festival, Scallop Season or any time you want to take a break and visit "Old Florida".